One unit of Hydrovac excavation waste slurry treatment system is shipped to Canada, the function of this treatment system is to recover the water and remedy the soil, the environmental protection regulation is very strict in North America, we already have 2 units of such hydrovac excavation waste slurry treatment working in the State. The waste collecting hopper collect the waste slurry discharged from hydrovac truck. 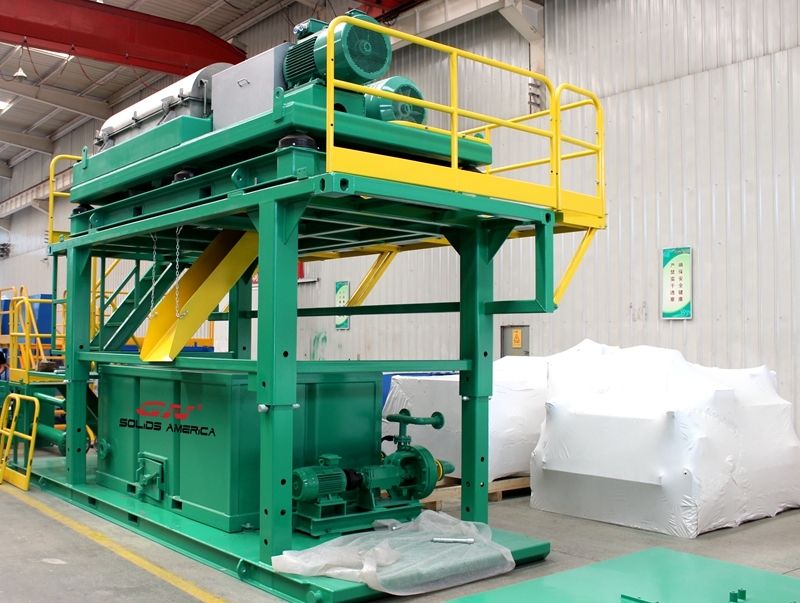 The coarse screen under waste collection hopper will separate the big size trash and other mass firstly before feeding to the high G drying shaker. The high G drying shaker with GN brand composite material frame shaker screens will separate most big size solids and reduce the solids content before feeding to the desilter cone. 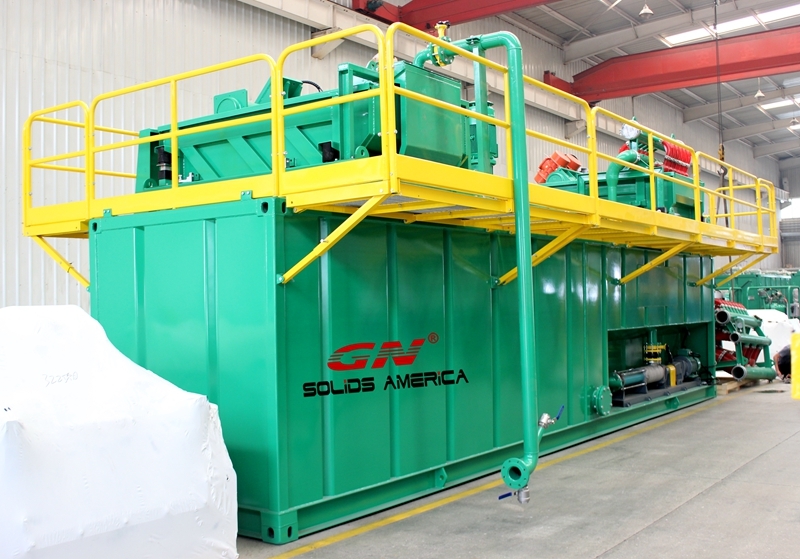 Fine solids is separated by desilter cones and the solids is drying by the bottom drying shaker so the discharged soil will be drier for disposal and more fluids will be collected. 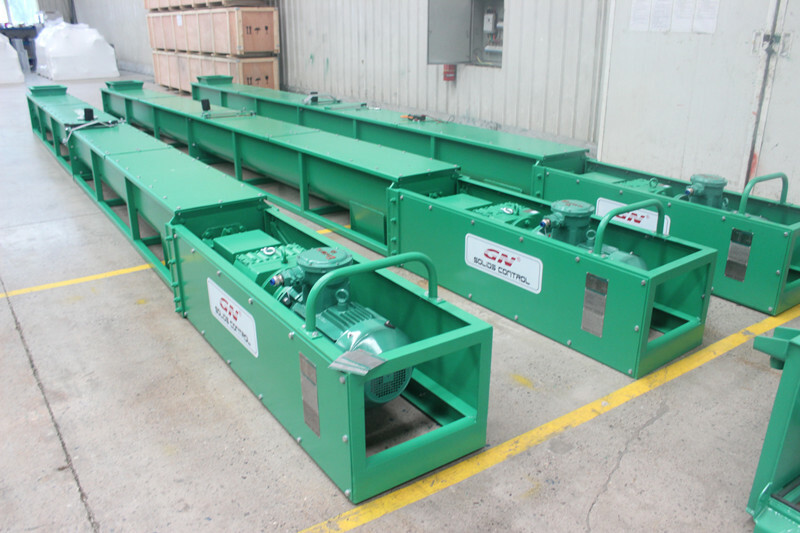 The dewatering centrifuge is 22 inch big bowl big volume centrifuge with feeding pump and telescopic skid. The result will be better by using chemical dosing system. 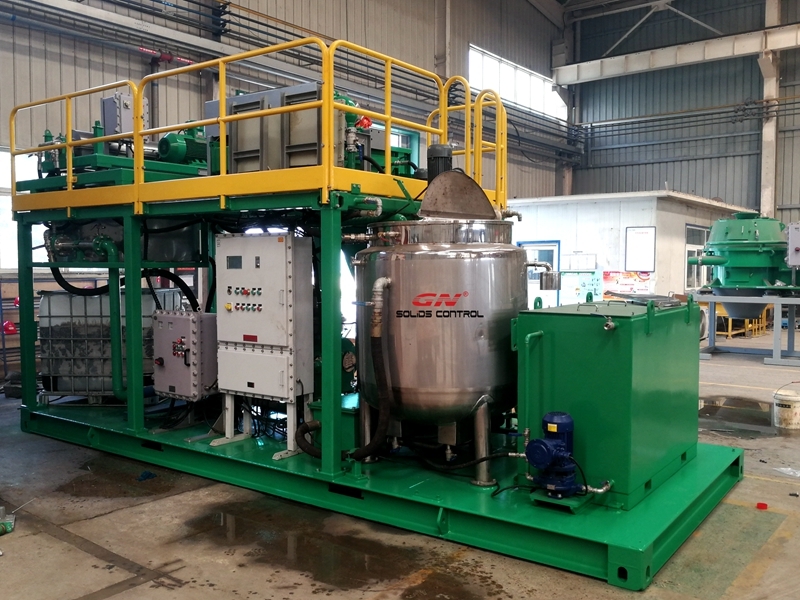 The ultra fine solids below 2 microns will be separated by decanter centrifuge with dewatering unit. 1) Full stainless steel cover with PLC smart control, vibration sensor, temperature sensor to adjust the frequency of the centrifuge to meet the different requirement of the clients. The main motor, back drive motor and pump motor converter is made of ABB brand, all the other electrical components are from Siemens, Schnerder, ABB and other famous brand. 2) The centrifuge bowl is made of duplex stainless steel 2304, the screw is made of stainless steel by 1000 degree heating, the solids discharge port and fluids distribution port is protected by tungsten alloy, the impeller opening deign will enlarge the treating capacity and the treatment performance. 3) The bearing lubrication system feed the lubrication oil by the oil pump, it is cooling by the plate type heating exchanging system can effectively cool down the lubrication oil so that to get a better cooling performance. 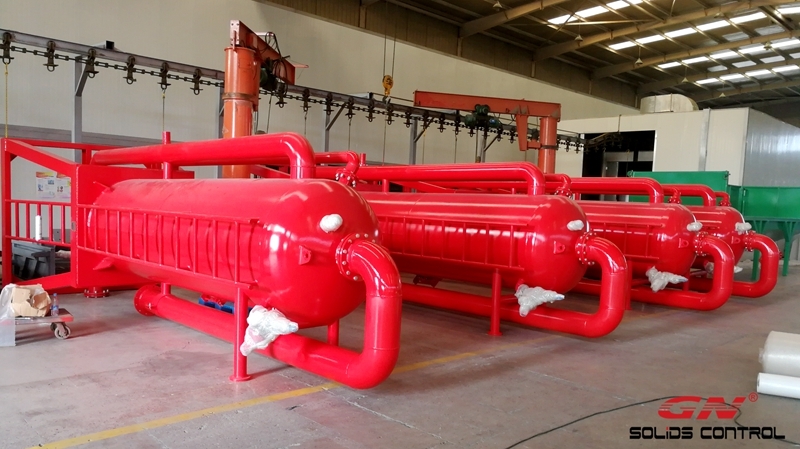 4) The client can install the decanter centrifuge with VFD control panel, feeding pump, on the telescopic skid, during transportation, the user will low down the telescopic skid to fit for transportation height limit. 5) The specification of the big bowl big capacity centrifuge: The designed treating capacity is 120m3/h, the max G force is 3000G, the normal speed is 0 ~2200 rpm, max speed is 2650rpm, the bowl size is 760mm, the bowl length is 3328mm, the main motor power is 160KW, the back drive motor is 90KW. The electrical motor and VFD control panel are all comply with Australia standard. 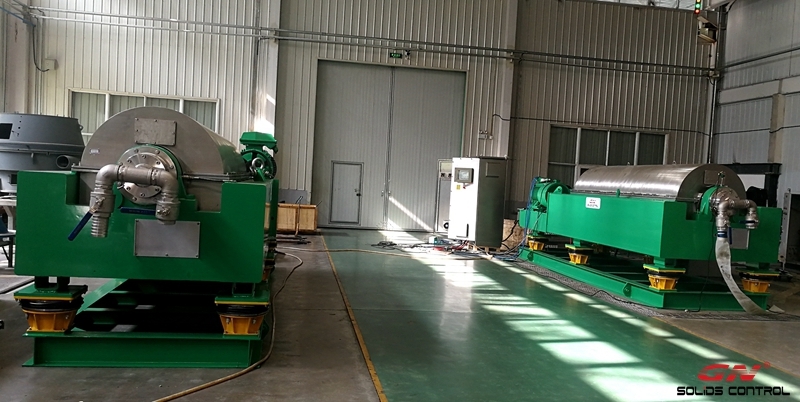 6) The centrifuge is widely used for dewatering unit, solids control system, waste water treatment,etc industry. 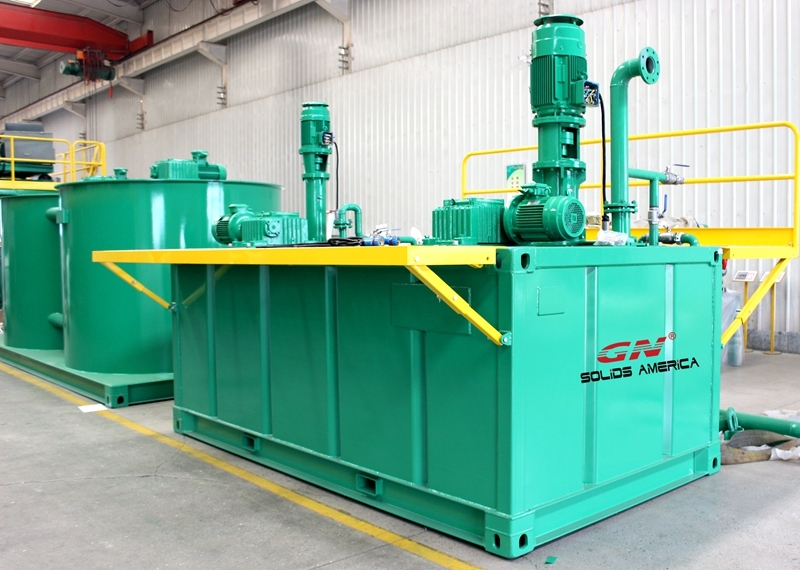 If you need a big bowl big capacity decanter centrifuge, pls contact with GN solids control. 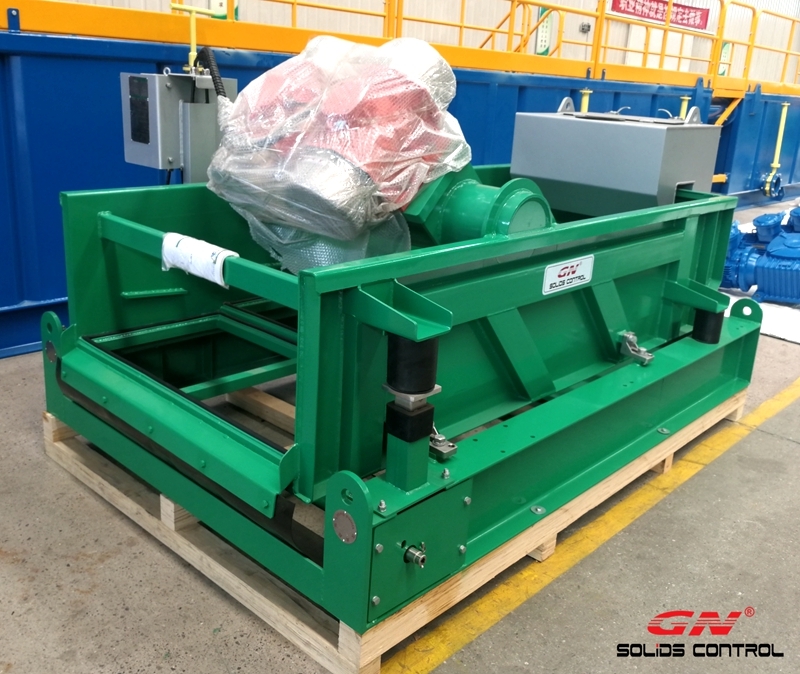 This week GN solids control shipped 2 units of Large Bowl 30 inch GNLW764A Decanter Centrifuge for Mining Industry to Australia, this is the largest centrifuge model we have made right now, we have 9 inch, 14 inch, 18 inch, 22 inch and 30 inch bowl decanter centrifuge with different treating capacity, different speed, different G force for various applications. The diameter of the centrifuge bowl is 760mm, the bowl length is 3328mm, the treating capacity is 528gpm, max bowl speed is 2650rpm, typical bowl speed is 2200rpm, max G force up to 3000G, typical G force is 2060G. The main power is 160KW, back drive motor is 90KW, the gearbox Torch is 25000.N.M. 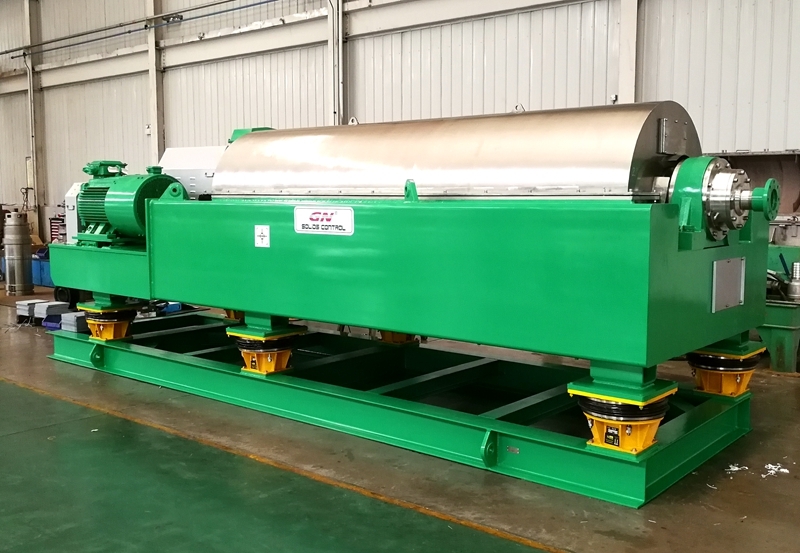 Same with the smaller decanter centrifuge, the screw propeller protection is tungsten carbide tiles, the bowl fluids distribution port and solids discharge port is protected tungsten alloy for longer working life, the bowl material is made of duplex stainless steel 2304 for anti corrosion. The bearing for this big bowl centrifuge is very big, need separate lubrication system for better lubrication to extend the working life of the bearings. 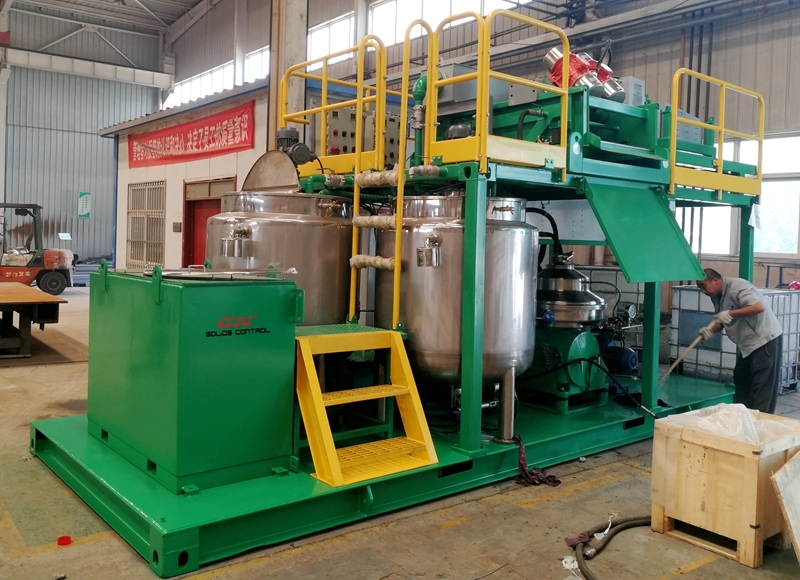 The plate type heating exchanging system can effectively cool down the lubrication oil so that to get a better cooling performance and the temperature sensor installed on the bearing seat will send signal to the PLC to trip off the centrifuge in case of over high temperature.